Or for all other out there non-Portuguese speakers like me, Brazilian cheese bread. 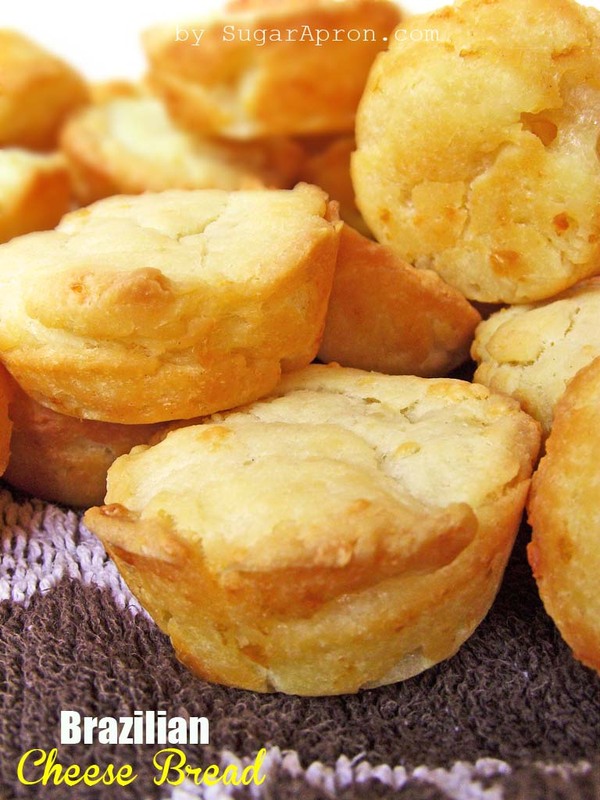 If you’ve never had pao de queijo, now is the time! Get yourself some tapioca flour, a bit of Parmesan cheese and a mini muffin tin and you will be set. I promise you’ll want to make these over and over again. Eating Pao De Queijo warm is a definite must. As soon as they’re cool enough to handle, bust one open and eat it. They’ll be a light color, little crispy on the outside and soft, airy, and tender on the inside. Almost a little chewy. I dare you to just eat one. This recipe is a little dangerous. Preheat oven to 400°F and grease a mini-muffin tin. The batter comes out very watery looking. Next, bake in the oven for about 15 minutes, or until all puffy and lightly browned. Remove from oven and let cool on a rack for a few minutes. 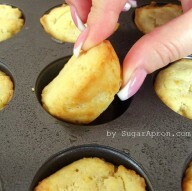 This recipe makes enough batter for 24 mini muffin sized cheese breads. I’m sending you sites with recipes Brazilian cheese bread, I hope it helps you. I loved your blog, I see and practice their revenues using Google translator.